Recover Images, Videos and Audio from Windows PC or Mac and More. UFUShare Photo Recovery for Windows PC or Mac helps you recover photos, videos and audios from Windows or Mac-based hard drive, USB drive, memory card, digital camera and more. * Deleted Recovery and Deep Recovery to fully recover photos from Windows PC or Mac. 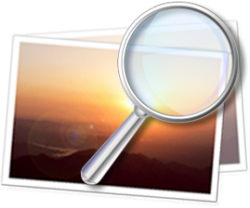 * Preview thumbnail lets you enjoy Windows or Mac photo recovery in advance. * Read-only application doesn’t overwrite or modify the original data. * Recover photos not only from Windows or Mac hard drives but also all most of storage media. 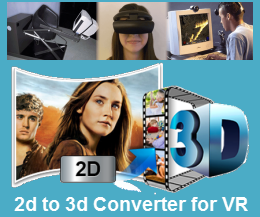 * Compatible with Windows 10, Windows 8.1/8/7/Vista/XP PC. * Compatible with macOS 10.13 high sierra, macOS 10.12 Sierra,10.11 El Capitan,10.10 Yosemite,10.9 Mavericks, 10.8(Mountain Lion), 10.7, 10.6, or 10.5. Lost Your Digital Photos? Keep Calm! 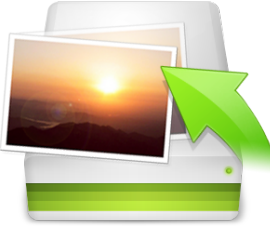 UFUShare Photo Recovery for Windows PC or Mac: Rescue photos from any storage device or digital camera. This UFUShare photo recovery software tool lets you recover all your lost, deleted, formatted and inaccessible photos, videos and music files from your Mac or other storage device. It provides complete photo recovery from any Windows PC or Mac-based hard drive, iPod, USB drive, external hard drive, digital camera and other storage media. With an easy-to-use interface, even novice users can recover photos on Windows PC or Mac with great ease with just a few mouse clicks. * Recover not only images, but also videos and audio files. * Recover photos both from Windows PC or Mac computer and storage media such as hard drive, iPod, digitalz camera, flash card, etc. 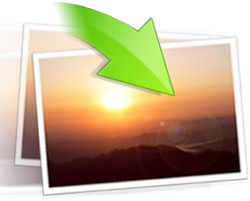 While most photo recovery software on the current market can only recover photos from media storage. * Overall data loss scenarios supported- Recover photos lost due to accidental deleting, formatting, improper device usage, virus attack, software crash, and other reasons. * Preview images and camera RAW files before image recovery to let you evaluate recovery quality in advance. * Provide real-time and direct scan results by displaying the recoverable photos during the scan process to let you stop the scan once the target photos are found. *Allow previewing of photos and camera raw files before image recovery to let you evaluate recovery quality. * Recover deleted photos from Windows PC or Mac with original file names, shooting dates, and storage paths. * File name searching for scanning results to provide users precise recovery. 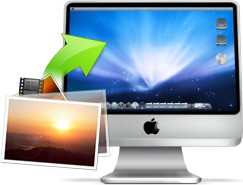 Recover photos on Windows PC or Mac within only 3 simple steps, just as easy as 1-2-3. No recovery skills needed. High fidelity, no compression on your photos, and no further damage to your data. * ‘Media/Drive is not formatted, would you like to format now?’* Mac OS X prompts for disk initialization when digital camera memory card is just connected. * Pull out SD card while the camera is on* Turn off the camera during a write process* Factory setting of device without backup* Use card between different cameras* Any type of file system corruption in camera storage device, hard drive and USB flash drive. How to Recover Deleted Text Messages from Samsung Galaxy J3 Emerge? How to Edit XAVC Files from Sony PMW-400L in Final Cut Express? How to Get deleted videos back from Samsung Galaxy J7 Duo? How to edit Sony PXW-X500 XAVC videos in Pinnacle Studio natively?